Founded in 1954, the Domaine Geantet-Pansiot came into existence the day that Edmond Geantet married Bernadette Pansiot. 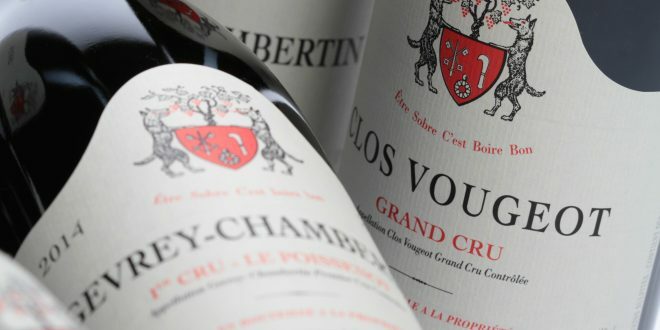 The couple settled in Gevrey where they began to use three hectares of wine that belonged to the Gevrey-Chambertin and Burgundy appellations. The owners expanded their domain with ongoing purchases of hectares of vines. In 1977, their son, Vincent Geantet, started to work for the family business. The father-son bond allowed the Geantet’s to optimize production using efficient methods. In 2006, Vincent’s son Fabien, joined the team to strengthen the familial bond that is still true to the domain. Currently, the reputation of the domain has surpassed the limits of Burgundy. The domain is now 13 hectares large and split between several appellations: Gevrey-Chambertin, Marsannay, Charmes Chambertin, Chambolle Musigny and Burgundy. Gevrey-Chambertin being the largest appellation in the Côtes de Nuit. Like all the great domains in Burgundy, Domaine Geantet Pansiot honor the vines and the terroir. Planted on calcareous soil from the Jurassic era, the wines from Gevrey-Chambertin are celebrated for their quality and diversity, thanks to the splitting up of the different types of land composed of a myriad of soil types. The perfect adaptation of the Burgundy grape varieties – especially Pinot Noir – to the relatively warm summers and rather dry autumns, explain why Domaine Geantet-Pansiot is a quality vineyard. The sun exposure as well as the absence of streams allows for optimal sunshine during the growing season. The domain has not followed common growing practices, using weed killers and inorganic fertiliser. So, they decided to turn towards a reasoned viticulture of wine growing. Little by little, other wine properties banned these harmful products to benefit from better quality soil. The vines are meticulously cared for, from trimming to the wine making process. Each plot of the domain’s land is attended to, so that the vines can draw all of the mineral elements that they from the deepest parts of the soil. The harvest is entirely manual, and all grapes pass systematically through an intense selection process. Elegant and refined, the wines from Domaine Geantet-Pansiot have extremely powerful aromas, intense with fruity notes. Easy to find, these wines are bottled after a 13 month ageing process. The wine is not decanted or filtered (except for a few exceptions). The wines that this domain produces are ready to be opened today, but are also ready for ageing. They belong to the elite wines of Burgundy. Excellent article. I am looking forward to your next one Vernon. An interesting review of the Domaine Geantet Pansiot wines which I discovered in this article.